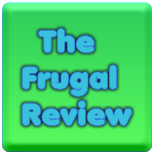 FRUGAL REVIEW: Join National Consumer Panel To Earn Points Towards Great Prizes! Join National Consumer Panel To Earn Points Towards Great Prizes! I am a member of the National Consumer Panel and love it! I scan my groceries and other purchases in, transmit them to the company and see my points add up. I can get great prizes with the points that I accumulate. They even send me bonus points on anniversaries, birthdays and other special dates! I make extra points by doing surveys online through them. They even have an app so you can use it on your smartphone!